* ​Board length is determined by the user. Evaluation of load versus board strength must be made by the user prior to application of loads. ** Standard Structural construction grade lumber sizes. ​*** Please note that the top shelf must be installed prior to use with any other shelf. 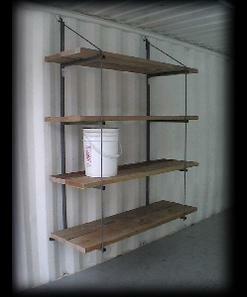 The Four Shelf Model provides five equal height storage spaces (four shelves and the floor). This model provides approximately 17 inches of space on each shelf and on the floor under the lowest shelf. The File Storage Brackets were developed to provide high density archive file storage that is readily accessible. Both models accept file boxes in all three sizes (letter, legal and multi-use). 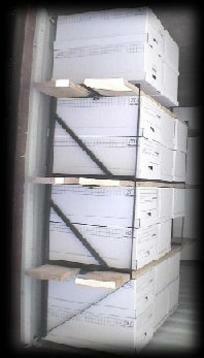 File boxes stack a maximum of two (2) tall and/or two (2) deep per shelf. This allows easy access and superior organization of your files. *​ Board length is determined by the user. Evaluation of load versus board strength must be made by the user prior to application of loads. ** Standard structural construction grade lumber sizes are given. *** Please note that the top shelf must be installed prior to use with any other shelf. 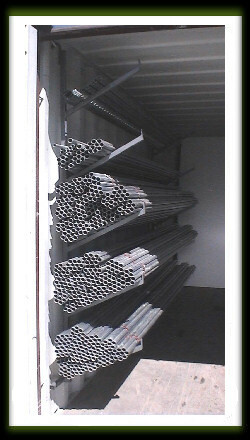 The 3000, 4000, and 5000 Series Pipe Racks provide 3, 4, or 5 support arms set at 30 degree angles to increase volume capacity and strength. The rack includes a safety roll stop at the end of each arm. The 4000 model provides 24 inches of clear floor space below the lowest arm and floor of the container. The 5000 model provides 8 inches of clear floor space below the lowest arm and the floor of the container. 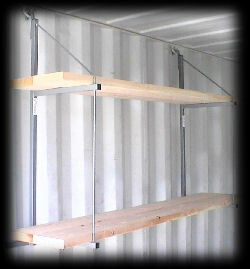 AWOL Inc. is a Factory Direct Distributor of ConEXTRA shelving products manufactured in the USA. All ConExtra products are made from American steel and subject to 3 cycles of quality control prior to being powder coated. Once powder coated, a fourth and final quality check is performed. The Three Shelf Models provide a top shelf storage height of 17", middle shelf storage height of 18-1/2", and a bottom shelf storage height of 22". The Three Shelf Models provide approx. 31 inches of clear space under the lowest shelf. 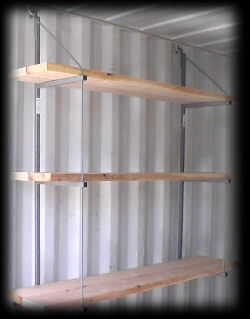 The Two Shelf Models provide a top shelf storage height of 17" and a bottom shelf storage height of 25-1/2". The Two Shelf Models provide approximately 4 ft of clear space under the lowest shelf to maximize use of your storage container. Please note that the 4210FS is for High Cube Container use only. AWOL Inc. recommends a minimum of two sets (4 total) lights per 40ft container, and one set per 20ft container. Additional lights may be required based on application and use. 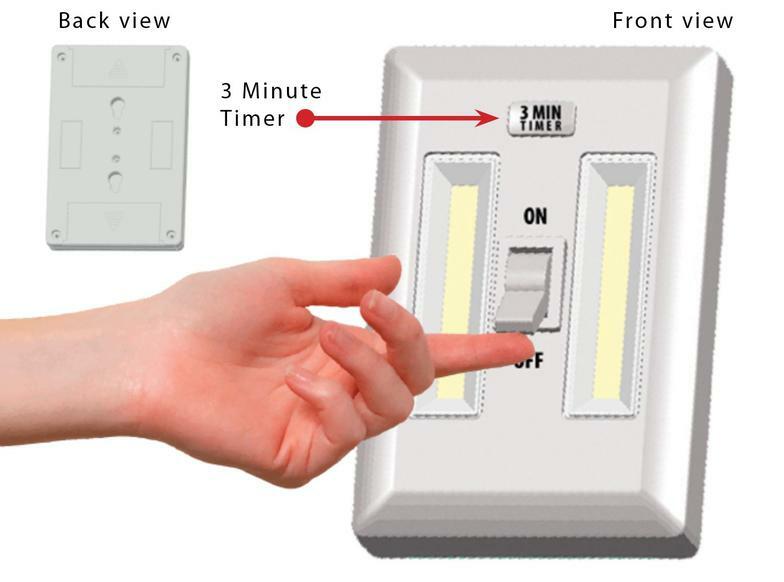 Switch lights also feature double sided Velcro Backing for alternate installation.